Properties in Grachen - Hannigalp Cable Car average 4.6 out of 5 stars. 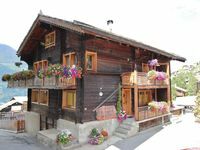 Property 1: cosy property in a chalet with authentic atmosphere. A holidayhome in a delightful position, great view over the mountains! Property 6: A holidayhome in a delightful position, great view over the mountains! Saas Fee - Spacious chalet apartment with outstanding views and quiet location. 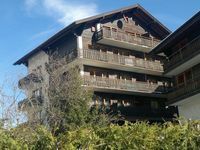 Property 35: Saas Fee - Spacious chalet apartment with outstanding views and quiet location. We have this apartment very pleasant and would next visit so again huren.Wij have already recommended to friends already. Super Clean house and fully voorzien.Ligt high in the mountains with beautiful views of the valleys is close to the edge of the tourist cal village, everything is within walking distance, restaurants and supermarket enz.Ook the owner is very nice.